Booze Cruzer Cocktail Co. is a Mobile Bar for hire company. 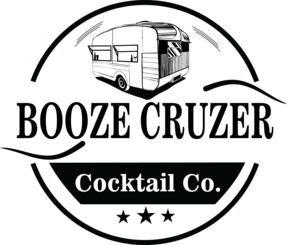 Our 1970's Woodsman travel trailer has been converted into an unique mobile bar that will be the talk of any event. Give your guest not just a bar but an experience. If your looking for vintage charm, Booze Cruzer will be a focal point at any celebration; weddings, engagement parties, graduations, tailgates, birthdays, corporate events and even backyard BBQ's. If you have a vision we can make it a reality. Our camper comes with everything you need to make your event a success! Please contact us to get a more detailed quote. This allows you to provide your own drinks, which will then be refrigerated and served by you/person of choice. Most Popular Option. We will arrive at your venue with a fully stocked bar and your guests can purchase their drinks as they please. This is a favorite from the guests' perspective! You are to provide your own drinks, which will then be refrigerated and served by our bar staff.